This Direct, Upgraded, Oceanfront unit is the perfect height(3rd floor) for your family, friends, & guests to enjoy. Don't fight the elevators on the higher floors when this great condo allows you to enjoy gorgeous unobstructed views of the ocean. During your stay at the is established Myrtle Beach resort, you will enjoy the onsite Water Park with water slides and fun for the whole family, indoor/outdoor pools, lazy rivers, onsite restaurant, fitness center, marketplace, and easy access to one of Myrtle Beach's best beach locations. This unit features a kitchen with granite counters, range/oven, fridge, and a microwave so you can enjoy the unit, or just head out to the 1,500+ restaurants the Grand Strand has to offer. Walk to your local Starbucks, River City Cafe, and several others restaurants in the heart of the beautiful North end of Myrtle Beach. Some of the other great features of this resort are a sand volleyball court, huge lawn for sunbathing if you don't want to go to the sand, arcade, and much more. 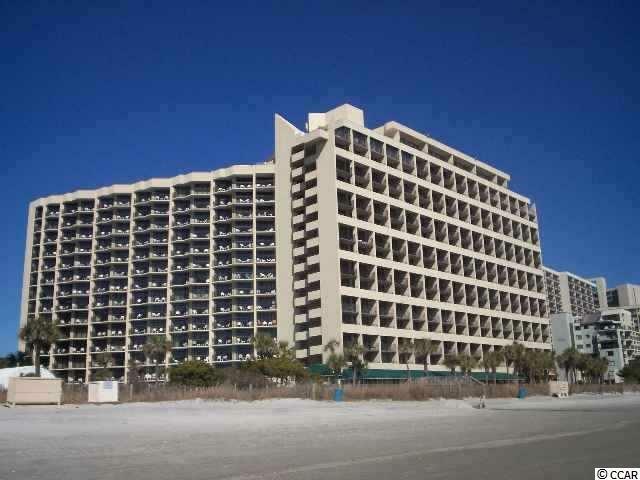 This is truly one of Myrtle Beach's most established resorts and one that you will continue to visit every year. If you are looking for the perfect getaway here at the beach, this is it.